Braid, or the art of weaving. 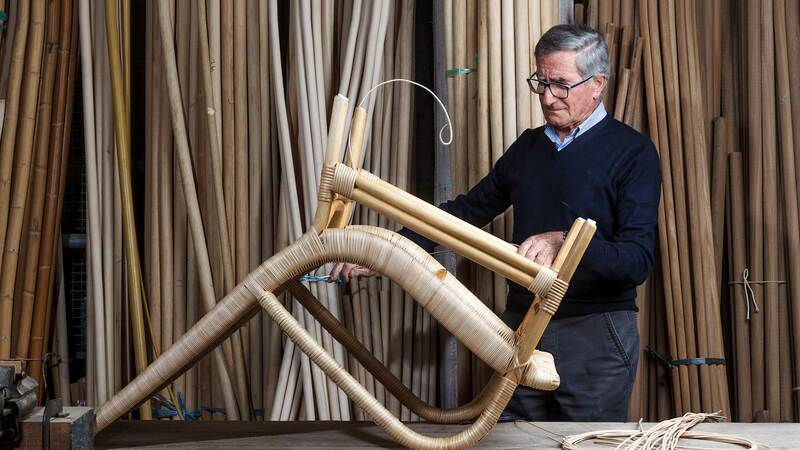 Its story starts in the 50’s, three generations ago, in Mogliano a small town in the region of Marche, where Luigi Maurizi, a talented master caner, opens his workshop specialized in hand-crafted wicker products such as baskets and purses. His creativity gives birth to shapes and styles and his hands, smoothly flowing through the thin threads of natural fibers, weaves unique pieces, highly appreciated in the Italian market. At the end of the 70’s, Giuseppe’s son Luigi joins the company. Thanks to his forward-looking vision, he foresees the great potentiality in his paternal workshop and decides to broaden production to furniture, bringing to life the first home furnishing catalog presenting desks, small cabinets, sofas, armchairs and coffee tables made of hand-woven wicker, rush, or rattan, all suitable both for indoor and outdoor use. This passion is passed down to and shared with his children, who at the beginning of the 90’s take a step towards the evolution of their family-run business. In 2005, after distributing outdoor furniture made of synthetic rush for another company, thanks to their acquired know-how they found Braid, the English translation for the Italian word intreccio, that is to say, the result of weaving. New outdoor collections start establishing themselves among a select clientele. Natural fibers are replaced by synthetic ones, more appreciated for their durability, ease of use, and resistance to weathering. Collections present new high-quality materials, such as wood and aluminum, showing an extended range of products and a certain versatility. The possibility to customize shapes, dimensions and colors soon becomes a success factor for the brand. traditions and skills of their territory. In 2013 some members of Guzzini family, convinced of Braid’s expansion potential, become stockholders of the company, contributing to its internationalization strategy. From artisan workshop in the 50’s to worldwide established business, the company has remarkably changed, yet preserving its authentic values of quality and craftsmanship.